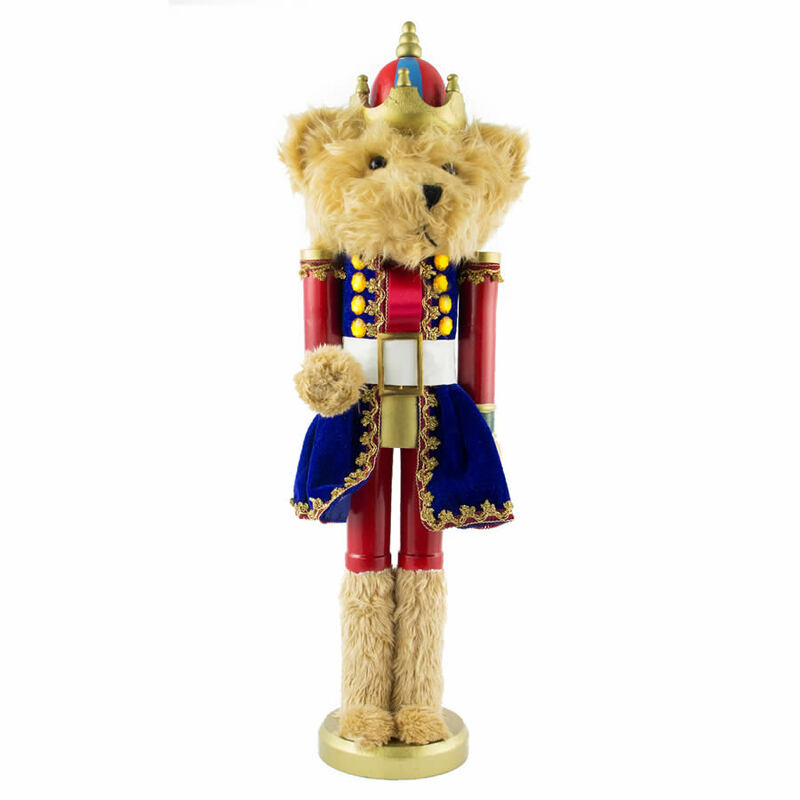 Who wouldn’t love this beautiful Teddy Nutcracker standing approximately 62cm tall. He is approximately 15cm in width at the 3cm high base, making him a whopping 65cm in height. The soft, plush fur of this charming soldier is what makes him so very different than the other nutcrackers in your collection. He wears a jacket of royal blue velvet, accented in gold to complement his wooden crown. The unique feature of this plush nutcracker is his wooden body, which is clothed in a conventional red guard’s suit. This is a clever combination of all things that we love during the Christmas season, from toys and teddy bears to nutcrackers and family traditions. This is an excellent gift item to have on hand for many different people in your life, young and old alike.